Mascara is the one product that has to suit indivudal needs. It doesn't matter about the colour or brand, it needs to do what you want it to do and has to be a formula/brush that you like. My two mascara loves are the Seventeen Falsifeye HD & Benefit Roller Lash, Both are flawless and do the job perfectly for me. 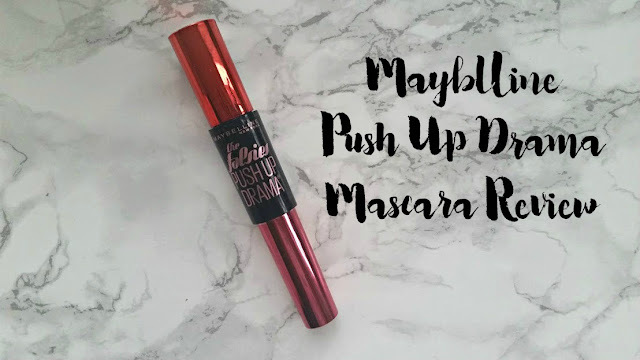 The Maybelline Push Up seemed like another one to add to the holy grail list but things didn't turn out that way. Lashes so lifted, so dramatic. Dare to get the Push Up Effect. Packaging - I love the design of this mascara and hate it at the same time. The metallic colours are so eye catching and that is what led me to buy it in the first place. On the other hand, it is also very misleading as the duo chrome colours make you think that it is dual ended, it isn't. I got very confused or I'm just very thick?! Price - An absolute steal at only £7.99 and Maybelline is always on offer for 3 for 2 or buy 1 get one half price. Which gives you any excuse to have a try. 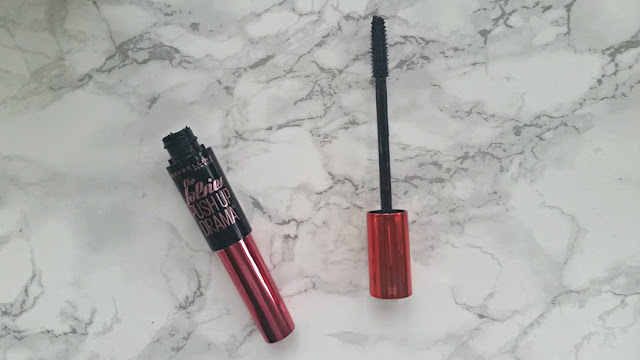 Brush - I love the brush of this mascara it is very similar to Roller Lash with the small 'cups' n either end. It grabs every lash to create an intense amount of volume. 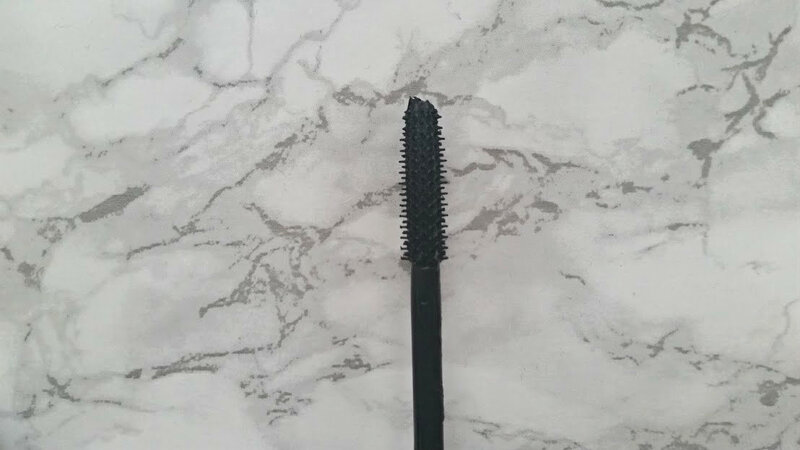 If this is something you look for then this mascara is definetely for you. My lashes look long, full of volume and a lot thicker. Formula - This is where it goes down hill. I hate been a Debby downer but it has to be honest. I applied the mascara with the wonderful wand to then see that the formula of the mascara is very thick and wet. It just went all over the place, on my eyelids, underneath my eye and some went towards the outer corner too. It was just too wet for my liking. I then sneezed and oh my gosh, it went everywhere. Now this happens to me all the time, so I thought I needed to test it out on a different day and try not to sneeze and so I did. The next time I had my hopes up too much, no sneezing this time but the mascara didn't dry at all. I was spending at least an hour wiping my glass because it had gotten all over the lens. Removal - Taking off mascara is the worst thing to do at night, no matter how much you try. I did one eye with a wipe and the other with Micellar water. The wipes were a lot easier to use and I found the mascara crumbled off my eyelashes, the micellar water also worked just as good. The next morning, I woke up with horrible mascara under my eyes. Ok, this does happen to me quite often but I properly removed it the night before. This was the same both times I used it. I hate not liking a 'drugstore' product because they are the ones that people usually buy. There was just something about this mascara from Maybelline that I didn't get along with. 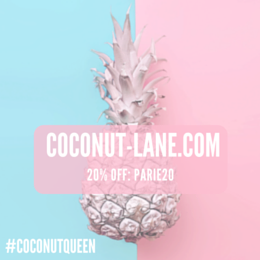 If you have tried it, I would love to know what you thought of it? If not, what mascara do you recommend?